Barcelona have reportedly made Arsenal right-back Hector Bellerin a high priority for their summer transfer market, but his transfer fee could be a problem. According to Diario Gol, although Sergi Roberto is capable of continuing in that position, Barca are looking to upgrade and in turn allow him to flourish in a more natural role to him. 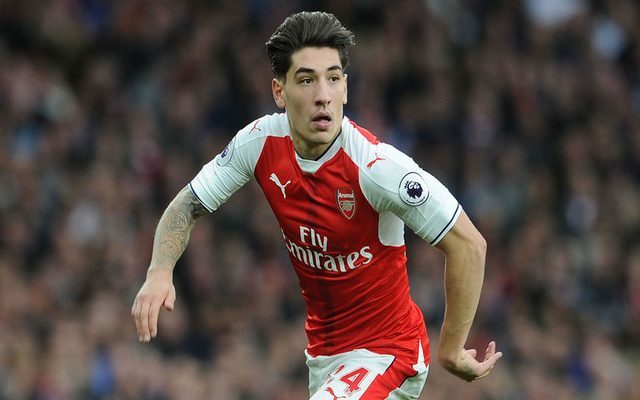 That has led them to Bellerin, who of course came through the ranks at the club before making the move to north London in 2011 where he continues to close in on 100 Premier League appearances for the Gunners. While his performances have dipped in recent weeks with criticism coming in from supporters, it’s hoped from Arsenal’s perspective that it’s merely just a temporary loss of form rather than anything more alarming. However, it appears as though their asking price is set to put Barca off as the Metro report that the north London outfit are demanding £34m for the Spanish international. The 22-year-old is contracted to Arsenal until 2023, and so the Gunners are undoubtedly in a strong position to make their demands if they feel as though they run the risk of seeing Bellerin leave. Nevertheless, the 22-year-old hasn’t given any indication to suggest that he wants to move back to Spain, although that evidently hasn’t stopped Barcelona from keeping an eye on him and weighing up a move. It’s added in the report, via Marca, that Monaco ace Djibril Sidibe and Valencia’s Joao Cancelo are alternative options for the Catalan giants, but it remains to be seen if they can make any progress with Bellerin first with Arsene Wenger likely to be desperate to keep hold of him, provided he’s still in charge next season.